Typically, developers buy land, finance or help finance real estate deals, build or have builders build projects, create, imagine, control, and orchestrate the process of development, construction or renovation from the beginning of the project to end. Developers usually take the greatest risk in the creation, development, construction or renovation of real estate. 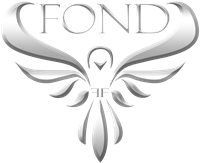 FOND is a privately held real estate design, development, construction, management and finance company conglomerate which works closely with corporate and private real estate investors from all over the world on specialty projects primarily within the United States. We are a multi-diverse company conglomerate primarily dealing with commercial, residential and industrial property owners toward locating, buying, designing, developing or renovating and leasing or assisting in the resale. Well suited to help you finance your next big project, contact us with your business plan and executive summary and see how we can help get you funded. At FOND, our goal is to utilize our vast network of global connections for everything from locating the perfect investment property to purchasing everything to build the property with including materials and labor. We save our clients thousands of dollars on each and every project through our tried and true process of construction project management and property management. Founder – FOND Founder Anthony Fond has been in the real estate investment business since childhood. Mr. Fond is highly knowledgeable and experienced in development, construction, renovation and property management. Mr. Fond has developed a tried and true method of quick-flipping real property and maximizing ROI through a special buy, fix, sell program that allows us to save thousands of dollars on the property purchase, renovation materials and labor. Mission – Our firm has one mission…to preserve and grow our investors’ capital for current and future generations and support their philanthropic endeavors. We accomplish this through innovative processes and our results-oriented team. We are committed to an environment founded on high ethical standards that puts its investors first, fosters collaboration, and inspires dedication. Vision – The vision at FOND is guided by principles that we believe are necessary for us to compete at the highest levels in all areas of our business. People – At FOND, we foster a creative team environment where our people are inspired to reach higher and farther. Profit – Our daily goal is to maximize returns on behalf of our investors and partners while maintaining high ethical standards and a fine quality finish. Philanthropy – We will establish and lead sustainable initiatives that promote self-sufficiency through education, community development, and entrepreneurial spirit.